BERLIN (Own report) – The G7 summit in La Malbaie, Canada, ended in open dissent on Saturday without a joint final declaration. After the G7 state and government leaders had already agreed on a joint statement, US President Donald Trump withdrew his endorsement. The document is still supported by the other six G7 states and is occasionally referred to as the “G6” declaration, to point out the deep rift in the traditional West. Whereas German business circles still call for making concessions in the trade conflict with Washington, Foreign Minister Heiko Maas is considering new cooperation frameworks with states “beyond classical alliances, such as NATO.” This however would be in contrast to the agreement reached at the G7 summit on a mechanism aimed at a common response to cyber attacks and attacks such as the nerve agent poisoning in Salisbury. According to scholars of the German Bundestag, Moscow’s alleged responsibility has still not been proven. 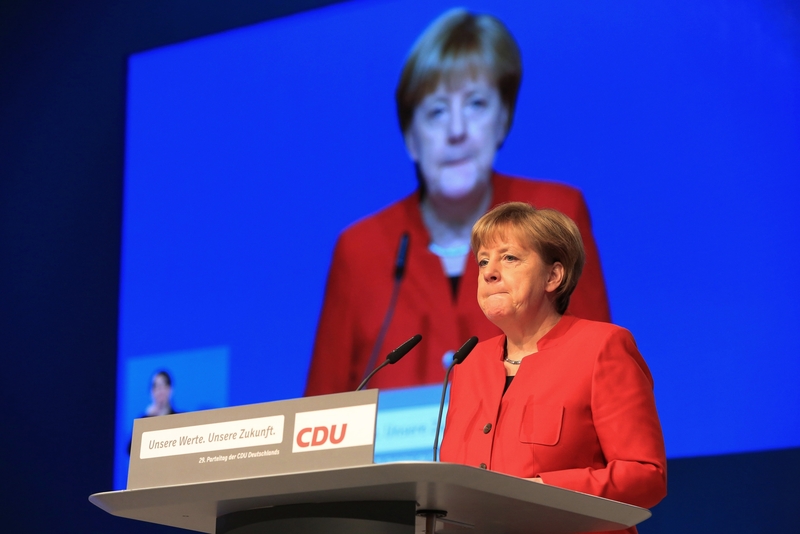 German Chancellor Angela Merkel got the ball rolling Wednesday by asserting she was going to engage in a diplomatic full-court press on the president’s EU tariffs, which impact her country the most. She was soon followed by French President Emmanuel Macron, who said he plans to “stand up” against his friend the president. FILE – Ships assigned to the Nimitz Carrier Strike Group participate in a strait transit exercise in the Pacific Ocean in this April 3, 2017 photo. 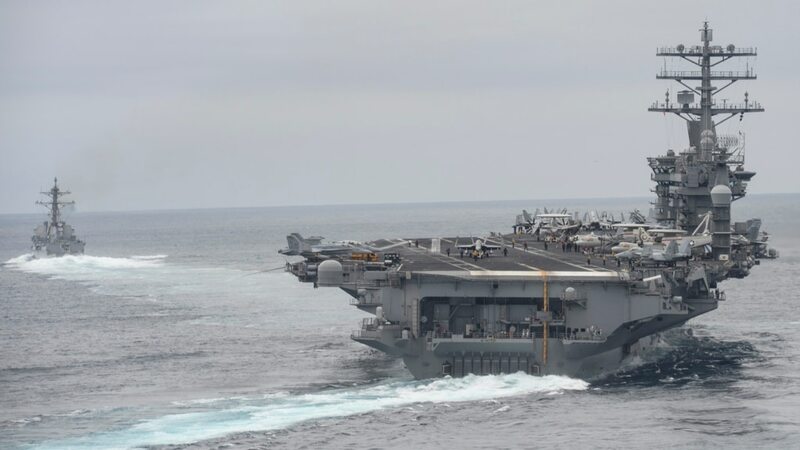 The USS Nimitz, one of the world’s largest warships, will join two other supercarriers, the USS Carl Vinson and the USS Ronald Reagan, in the western Pacific, the sources told VOA’s Steve Herman. China has responded to an international outcry over its construction of artificial islands in the South China Sea by accelerating the building program, according to analysis of the latest aerial surveillance. The most dangerous U.S. President in history has changed the world forever, and the worst is yet to come. Furthermore, the politicians of any respective country are a direct reflection of the hearts and minds of the people. Voters made a large mistake in 2008 by voting their first modern Egyptian pharaoh who will continue to rule like an unchecked tyrant. You cannot undo the last six years in America. Switching from Democrats to Republicans will not fix the solution as both parties are on the same side, as in Russia today. If you were to ask when America will collapse, the smart answer would be 2008. And rightly so, all the blame also does not fall squarely on Obama. Since then, America has been in free-fall and 95% of the public will never notice until it hits bottom, mistaking that for the actual crash. As you cannot legislate morality in hopes of bringing America back, the only hope for the once great nation is a return to God by its people. If the nation as a whole fully repents, there will be peace. Until then, His judgement is in full motion as we speak and will only continue to accelerate. U.S. President Barack Obama referred early last year to Islamic State of Iraq and Levant (ISIL) as a JV team. ISIL’s subsequent rampage through Iraq and Syria proved Obama wrong, but analysts cited by a McClatchyDC report think the worst has yet to come. Für deutsche Leser die Ihre Nachrichten auf Deutsch lesen möchten oder Leute, die Deutsch verstehen kann, klicken Sie bitte den Link ganz unten auf. A large portion of the English translated version will remain here. While on the surface the European leaders of G-7 nations are all smiles in their photo-ops next to US president Barack Obama, there is an unmistakable tension and simmering resentment at the US for forcing Europe into America’s personal crusades. ELMAU/MOSCOW (Own report) – On the occasion of the G7 summit in Elmau, Bavaria, German government advisors are discussing the significance of the cohesion among the leading western powers. 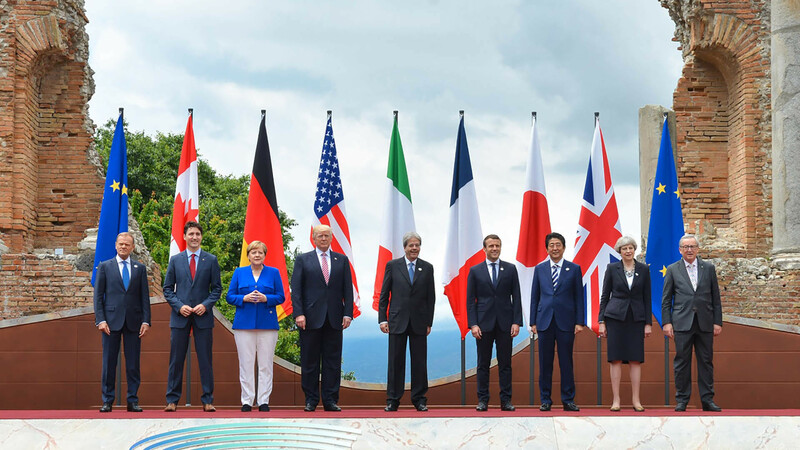 For quite a while, the G7 and G8 have been a sort of global policy “steering committee,” according to a recent analysis published by the German Council on Foreign Relations (DGAP). For the first time in 2008, the global financial crisis compelled the G8 to include other industrial and emerging countries in global consultations in the framework of the G20. By setting the agenda for the G20, the G7 seeks to safeguard its “leadership role” in global policy. At the same time, in Berlin one hears that Russia’s exclusion cannot be permanently advantageous. Since its exclusion, Moscow has become even more engaged in the BRICS alliance. Commenting on BRICS’ aims, experts write that its members are striving to “pit their collective political clout against the North’s claims of its superiority.” In a few weeks, BRICS will decide on operative steps in establishing a New Development Bank. As an alternative to the World Bank, it should become operational by the end of the year. Steps are also planned to undermine the US Dollar’s hegemony. Since the beginning of the Ukraine crisis there has been a clear shift in the tectonic plates of global geopolitics. 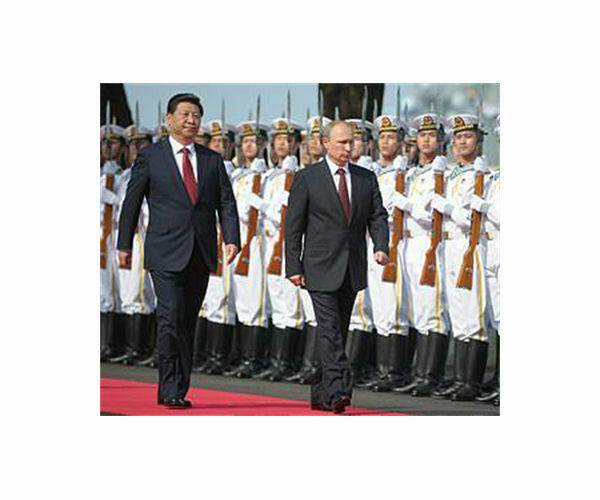 An increasingly assertive Russia and China are challenging the U.S.-dominated order in a myriad of ways, but the actual contours of the emerging multipolar world are still hazy. On the one hand, as Huiyun Feng describes in her recent article for The Diplomat, the two opposing sides seem to be set. The Russia-China Entente and its coterie of Eurasian autocracies seems to be a genuine, lasting phenomenon. Meanwhile, the G-7 is unified in its opposition to Moscow, while the United States has reinforced its Pacific alliances with Japan, Korea, the Philippines, and Australia. On the other hand, the path of middle powers such as India, Iran, Brazil, Turkey, and Indonesia remains uncertain. Despite prodding from the United States none of these countries joined Washington in imposing sanctions against Russia and all are interested in profiting from China’s evolving “One Belt, One Road” initiative. ELMAU, Germany (AP) — Acknowledging military setbacks, President Barack Obama said Monday the United States still lacks a “complete strategy” for training Iraqi forces to fight the Islamic State. He urged Iraq’s government to allow more of the nation’s Sunnis to join the campaign against the violent militants. Russian government officials and businessmen are readying for sanctions resembling those applied to Iran after what they see as the inevitable annexation of Ukraine’s Crimea region, according to four people with knowledge of the preparations.